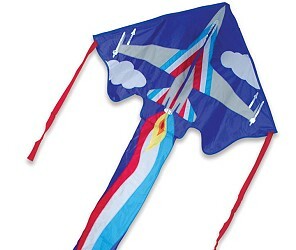 These airplane kites range from three dimensional wonders to easy flyers with a long flowing tail. 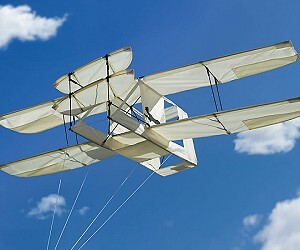 Capture the early days of powered flight or recreate the jet age. 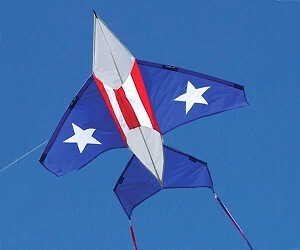 Some airplane kites require more assembly for flight than simpler kite styles. 46" x 24" Rip-Stop Polyester with Glass Fiber frame. Flying Line included. 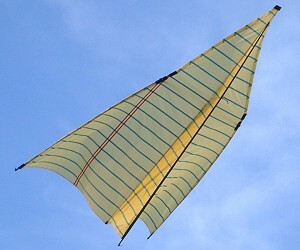 49" wingspan x 46" Rip-Stop Nylon with Glass Fiber frame & 5ft Streamer Tails. 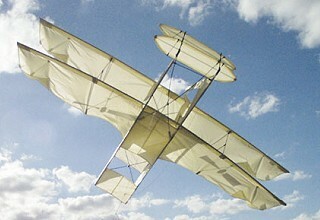 Includes Flying Line and carry-case. 63" x 75" Rip-Stop Nylon with Glass Fiber frame. Flying Line included. 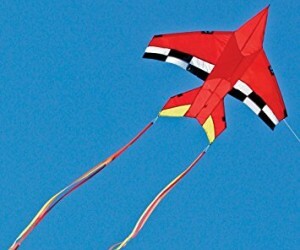 40" wingspan x 90" Rip-Stop Polyester with Glass Fiber frame & flowing tail. Includes Flying Line.